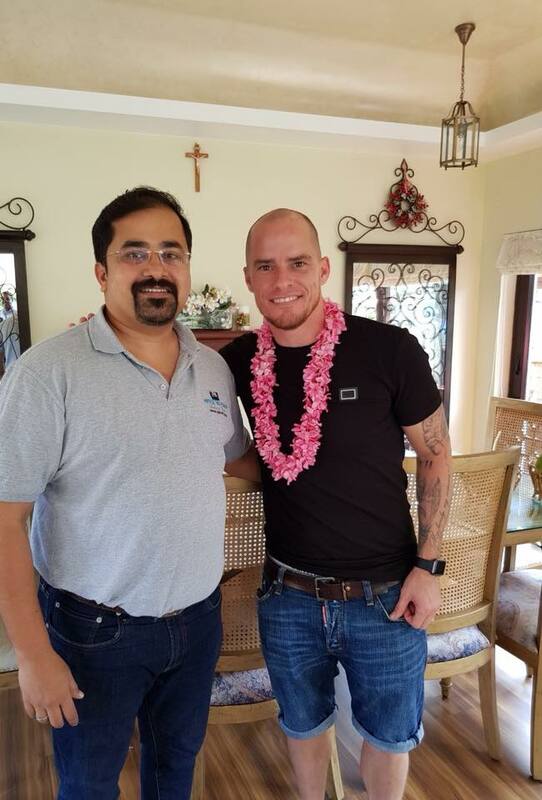 In an exclusive interview to Tourism News Live, the Canadian footballer who has been winning the hearts of soccer lovers across Kerala, says he is mesmerised by the beauty of the God’s own Country after spending a day in the backwaters of Alappuzha. 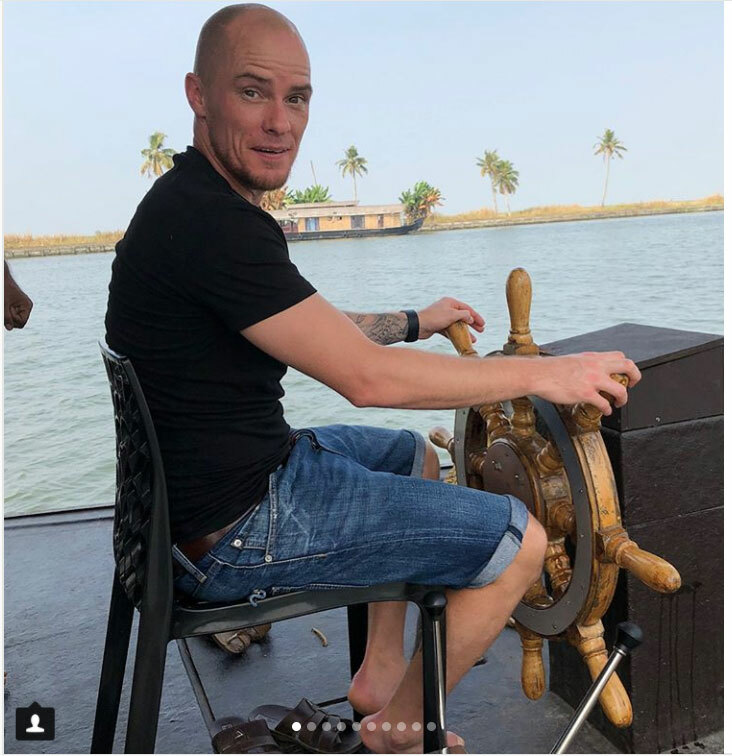 Iain Hume spent a day in the newly launched luxury houseboat of Spice Routes with his wife Christine and children Alyssa Fay and Keira. “It was a great experience and I am gonna come back again,” says a very excited Hume. Hume is all praise for the hospitality of the people in Kerala and said this is a very safe place to have a holiday with family. “Once the football season is over, I am going to stay back for a couple more months and explore other parts of Kerala,” says Hume adding that the only problem he faced was the usual traffic. “Though I have been good friends with the owner of the Spice Routes, I didn’t get the time to come on board his houseboats. People on the boat were very courteous and gave us a memorable a memorable experience,” says Hume. He also tasted the traditionally-cooked prawns and the Alappuzha special pearl spot, which he termed very tasty. The family boarded the houseboat from Nedumudi by noon. 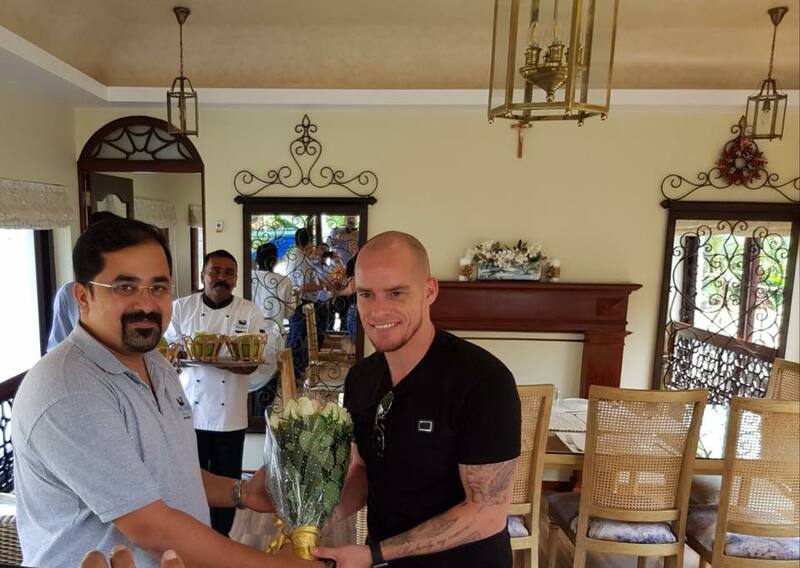 The Kerala Blasters team will also be taking a houseboat ride in the first week of February in the Spice Routes luxury boats.